Every member of the family is welcome at our hotel so bring along your dog to explore the beauty of Maine. At check-in, we’ll provide your complimentary KenneBarkPort brochure with some ideas of what to do in Kennebunk with your pup. 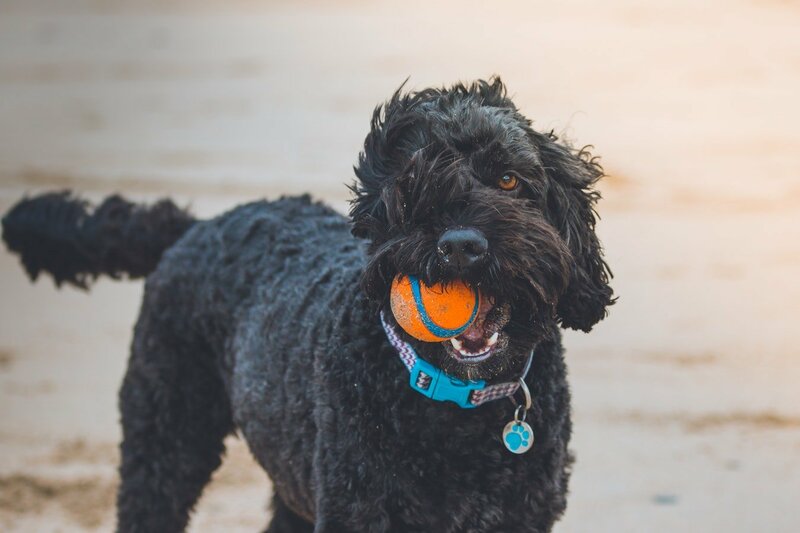 There’s plenty of dog-friendly beaches, trails, and patios in the area where you and your pooch can enjoy the Kennebunks together! You could say we’re pretty excited to meet you and your dog. Your dog’s gift bag includes a Port Inn dog bowl so they can also enjoy a drink of water from the comfort of your pet-friendly room. For an additional treat, we’ve included our favorite gourmet biscuits that are locally made with organic and non-GMO ingredients. Our Dog Package can be booked by calling our Reservations Specialists at +1 (207) 985-6100. Alternatively, you may register your dog upon check-in so our staff can ensure you and your dog have a comfortable stay. There is a charge of $35.00 USD per dog, per night. If you are bringing more than one dog, the second dog is $15.00 per night. This cleaning fee allows us to maintain the quality of our guestrooms for all future guests and their furry friends.